Hello my fellow Geeks and Geek wannabes! Just wanted to wish you all a happy whatever you celebrate this holiday season! 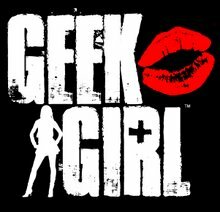 Be sure to check back here over the next week...I'll surely share any cool techy goodies that Santa might bring for me for being such a good Geek Girl all year long! Also, if you got any cool or silly gadgets, make sure to let me know by posting them in the COMMENTS section below, or by emailing me at geek.girl@earthlink.net. We might be doing a special Video Podcast featuring Geek Gifts! Cheers to all of you and thanks for all of your support this year! Hope you are all healthy, happy, and with people you love during this wonderful time of year.